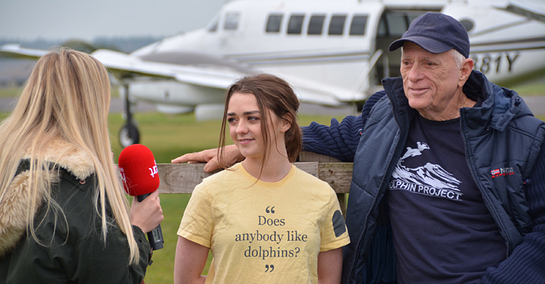 Game Of Thrones star Maisie Williams threw herself out of a plane for dolphins this week. The star, who is currently appearing in the latest season of Dr Who, took to the skies for a charity skydive with Dolphin Project founder Ric O’Barry. Over $1000 was raised during the jump for Dolphin Project, which aims to put an end to dolphin exploitation and slaughter once and for all. To find out more about Dolphin Project, click here.